Barburrito is set up so that when you enter you queue at the counter to be served and can select what burrito filings you would like, meaning each burrito is made fresh before your eyes and exactly how you like (similar to Subway). Service was very quick and efficient and the member of staff was really helpful as it was our first visit she talked us through the menu options. Myself, the other half and teen ordered the regular classic burritos (£6.80 each) and the little two ordered a children's burrito for just £2.95 each. First up you select your main filling from a choice of chicken, pulled pork, vegetarian/vegan, spicy shredded beef, grilled steak or chicken and chorizo. Myself and the little two opted for the chicken, my teen picked pulled pork and the other half went for the spicy shredded beef. You then pick if you would like white or brown rice, beans or vegetables, a salsa, sour cream and cheese and you can also pay a little more to add extras such as extra meat or guacamole. I really liked that you could pick exactly what you wanted and I could leave out things that I knew the children would not like. 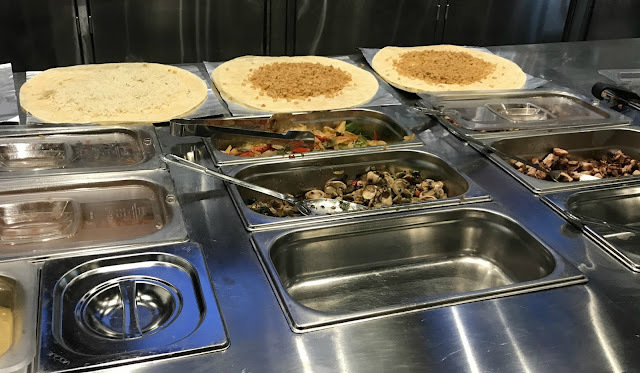 The burritos were all made super quick and I was impressed with how big they actually looked, the children ones were just the right size for my 3 and 4-year-old. We then ordered a couple of bottles of pop and water and some packets of tortilla chips (£1.50) before finding a table and settling down to enjoy our lunch. 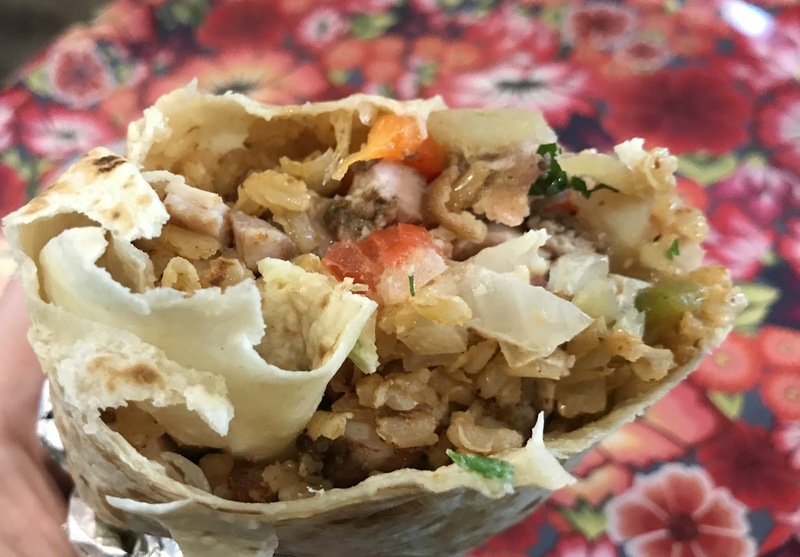 The burritos were extremely morish, packed with flavour and very filling so much so that I could not finish mine. All five of us really enjoyed our lunch, especially my younger two children who demolished their burritos. They did find them a bit messy to eat so ended up eating them with one of the plastic forks provided. They also really enjoyed the tortilla crisps too, as did us grown-ups. At under £10 for a burrito and a drink and just £2.95 for a child's burrito meal we found it good value as it is a similar price you would pay in other fast-food type restaurants. 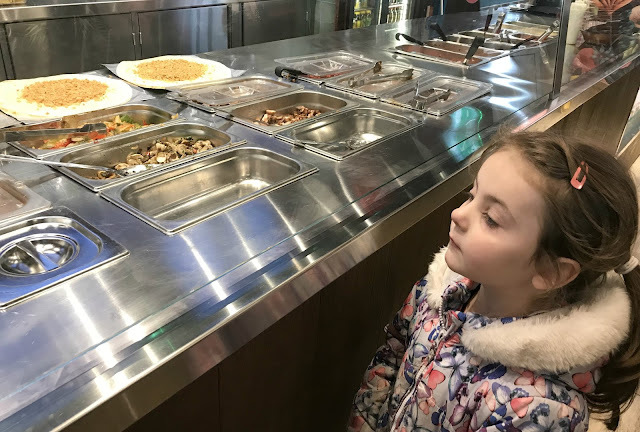 We visited at around 11.30am on a weekday during half-term and it was quite busy with about half the restaurant full of other families, groups of friends and couples enjoy a quick bite to eat whilst shopping. 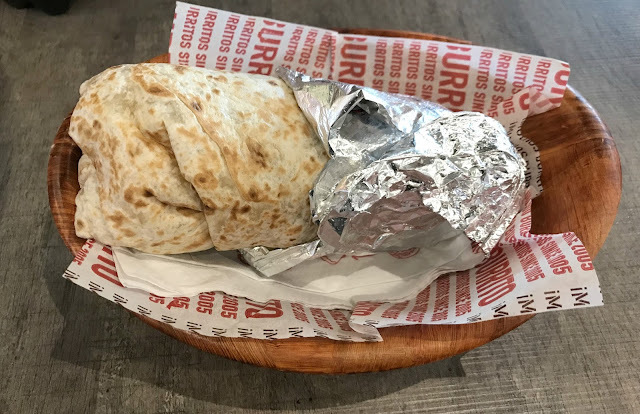 If you are looking for somewhere that is good value, serves quick and tasty food in the Metrocentre then I do recommend Barburrito as it makes a nice change from other fast food restaurants. If you visit during Easter half-term holidays children also 'eat free' when an adults meal is purchased, making it even better value, please check local store for details. Barburrito has branches throughout the UK if you're not local to the Metrocentre. 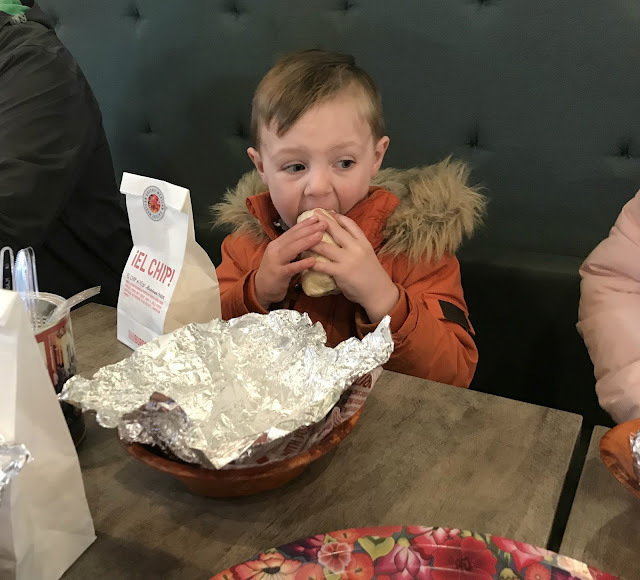 If you like the sound of Barburrito and want to visit with your own family then simply fill in the Rafflecopter form below for your chance to win a voucher for four free Burritos at a Barburrito restaurant of your choice. T&C's apply please see below. Disclosure we received a complimentary meal at Barburrito for the purpose of this review, however all opinions are my own. This giveaway is open to UK entrants aged 18+ only. One winner will win a voucher for four free Burritos at a Barburrito branch of their choice only. No cash or prize alternative. The competition will close at midnight on 22 April 2018. Winner will be selected at random via Rafflecopter from all correct entries received by the closing date. Winner will be notified via the email address they provided. Good Luck. Burritos are my go-to food in case of doubt. After looking at your pics my mouth is watering. I’d love the pulled pork with lots of vegetables and guacamole! Yum! We've got one of these in Leeds and I LOVE them so it's no surprise to see the food went down well! Anything with Chicken with lots of guacamole. I love a burrito! But it's not somewhere that I've ever considered for the children, I think they would love it! Oh I LOVE Barburrito! They have the best burritos going and they do a gluten free option which is great! Anywhere that is kid friendly gets a big thumbs up from us! Mm looks really tasty. Not visited before but it looks great. Love the giveaway! 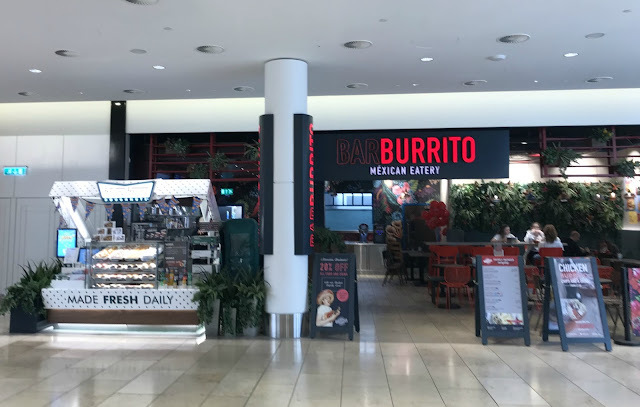 Oooh, I've heard of Barburrito before but I really don't know where my nearest would be. I do love burritos though. What a great review. I like the sound of this restaurant. Would love to eat here. I love a bit of pulled pork with veg ... mmm hungry now! I like the shredded beef option.